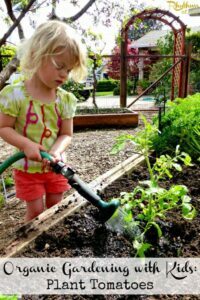 Organic Gardening with kids is all about your kids watching you do “real work.” When they are ready they will want to help. Sometimes they will need to watch you garden several times before this happens. All you need to do is be a good model for how the “work” is done while making room for them to help. Eventually they will more than likely jump in front of you saying, “I want to do it” just like my 2 1/2 year old daughter now does. This wasn’t always the case. She observed us for a long time over about a year and a half before she started getting in on the action. Give them time and when they feel ready you will find an eager worker bee at your side. 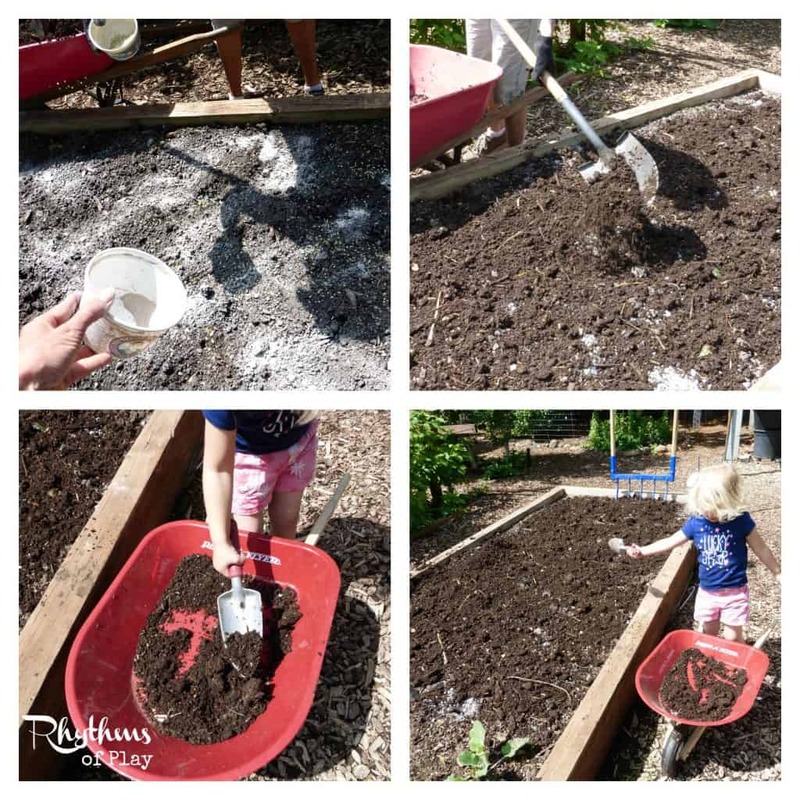 Use broadfork, garden fork and/or cultivator. Purchase tomato plant starts at your local nursery or use your own. 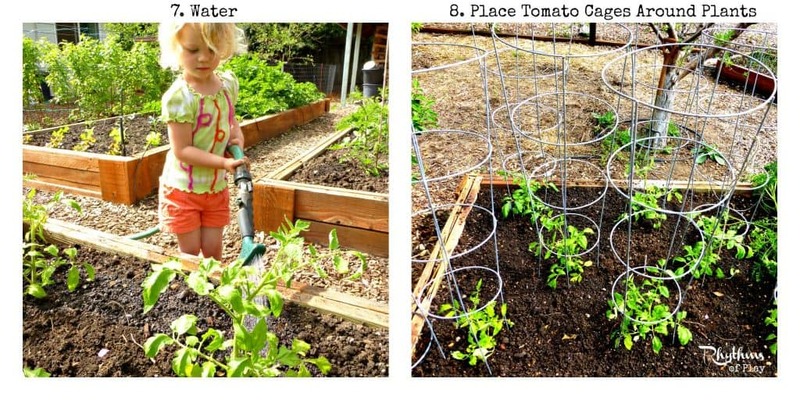 Place tomato starts about 2 feet apart before you plant to determine where each will go. Heavy duty cages are best. Large tomato plants can crush the smaller ones. 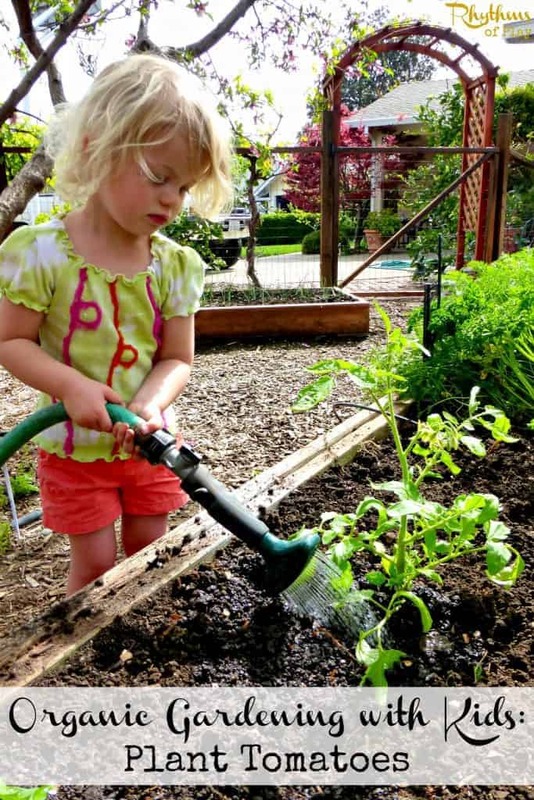 We hope you enjoy gardening as much as we do. Sign up for our newsletter so you don’t miss the next post! I love how straightforward and accessible your gardening posts are!